Choosing a solar installer can seem challenging to the average homeowner who does not interact with contractors on a daily basis. While different solar equipment options can have varying costs/benefits that can be objectively compared, choosing an installer is mostly a question of personal preference. Your installer should be someone you feel comfortable inviting into your home and should have all the necessary licenses and qualifications required for the profession. You can get multiple quotes from verified, pre-screened installers in your area through HahaSmart.com. Going solar is a significant financial investment into your home, so you should be able to trust your installer to advise and guide you through the process. Your installer should be knowledgeable about solar powered systems and be able to answer any product, installation, and service related questions you may have. The initial property/site visit is an opportunity to meet your installer face-to-face and verify that he/she is someone that you want to do business with. Be sure to check out homeowner reviews of the contractor you hire, especially if they lack certification. How many years have you worked in the business? Will you design my solar PV system yourself? How much electricity will my solar panel system produce? Is my roof in suitable condition for solar? How do I choose the best solar equipment? A professional solar installer should have a business license (includes general contracting, home improvement, electrician, etc.) and should be able to provide credentials when requested. If the installer uses local subcontractors, their business license should be verified as well. Ideally your installer should be NABCEP certified with a Solar PV Installation Professional Certification. However, because the NABCEP (North American Board of Certified Energy Practitioners) was formed in 2002, some installers who were in business before that year may not be certified. If you choose to work with an installer not certified with the NABCEP, you should be confident that they can demonstrate significant expertise in solar installation. Lastly, your solar installer should have some form of liability insurance that is required by the state in which you reside. Do you have all of the necessary business licenses for our state? If so, what is your license number? Are you a NABCEP certified installer? Do you work with subcontractors, and if so, are they licensed as well? 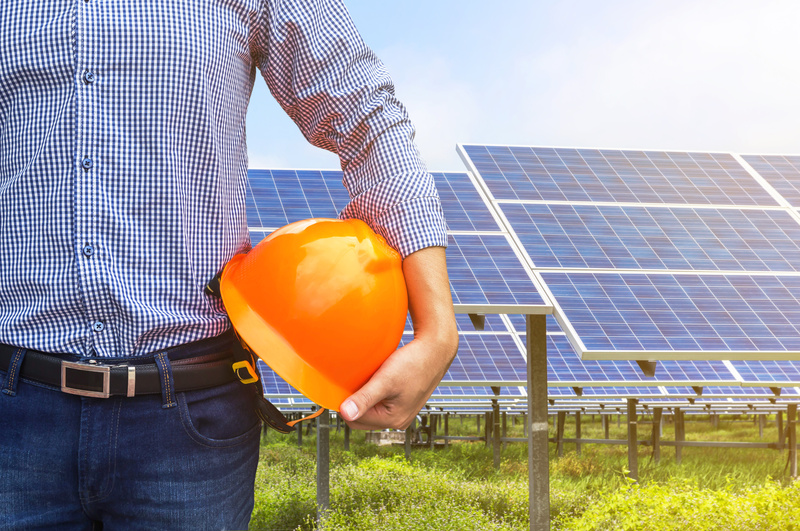 In recent years, the solar industry has grown so much, it now attracts contractors that once worked in different fields, and may not have a lot of experience specifically with solar installation. An experienced installer should be able to comfortably answer your questions regarding solar, and even show you systems installed for clients in the past. Sometimes, solar installers rely on the work of subcontractors, so it is important to know who exactly will be the worker behind your installation. Make sure your installer is transparent about why he/she is using a subcontractor and can guarantee that proper oversight of the work will be provided. How many solar panel systems have you installed? Do you have any photos of past projects? Have you worked with my utility company before? Do you have experience acquiring permits in my area? Are you affiliated with other solar companies that can vouch for you? Though you can directly ask a contractor for references, a better alternative may be to read online reviews of homeowners who worked with the installer you are considering in the past. Keep in mind that reviews can sometimes be misleading because bad customer service interactions are more likely to be shared than good ones. Still, if rating and reviews show a consistent pattern of customer complaint you should probably choose a different solar installer. Can you provide references from clients or examples of other installations? Where can I read customer reviews about your work? Can I speak to your past clients about your work? Generally, installation warranties specific to solar powered systems should cover you for 10 years. You should also be familiar with your installers replacement and repair process in case something malfunctions. If there is no workmanship warranty offered, this is a major red flag, as any credible contractor should be able to stand behind the quality of their work. Keep in mind that the 10-25 year product warranty that comes with solar equipment is NOT the same as an installation warranty. Who should I contact if there is a problem with my system? What is their contact information? Does your warranty cover roof damage during installation? If my roof needs repair in the future, what is the process of removing/replacing solar panels? If my system is not producing as much power as promised, who is responsible?